On Opening Day of the 2013 regular season, Dustin Pedroia injured his left thumb tearing a ligament. Earlier today he finally got it repaired and had successful surgery. Earlier in the week ESPN's reporter Jackie MacMullan reported that the surgery was going to be more difficult than previously thought, but today Peter Abraham of the Boston Globe said that the surgery did not require a graft. A graft is when the doctor must move body tissues from one spot to another on the body. It is fortunate that Pedroia did not need a graft because that would have made his recovery time longer. The surgery was performed in Arizona by Doctor Donald Sheridan, who is a hand surgeon specialist. General Manager, Ben Cherington expects Pedroia to be ready for spring training and will be in the starting lineup on opening day. This is good news for the Red Sox. 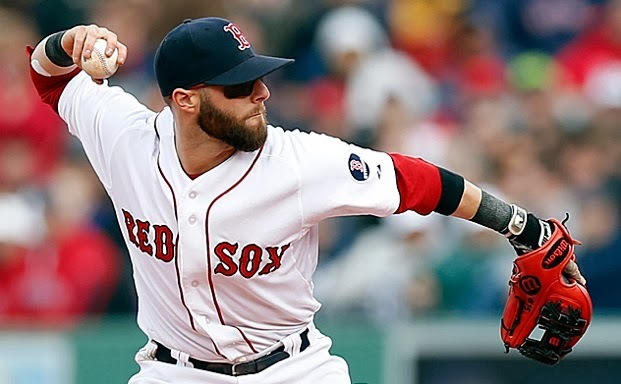 The ability to get the surgery done early in the offseason will allow Pedroia a longer rest and recovery time. Do you think that Pedroia will come back just as strong and healthy as he has been in the past next season? Leave your answers in the comments below or tell me on twitter.